We get a lot of responses on our blog when horse slaughter is a topic. One thing that keeps coming up is that the “big breeders” are to blame. However, I’ve been to quite a few of the ‘killer sales’ and I have yet to see a horse go through the sale pen with current and popular breeding. Instead what seems to be coming through the pen, that I see, are what seem to be a lot of back yard experiments, someone crossing this breed of horse with that breed. To be honest there really isn’t much of a market for these horses especially if they don’t get a good education. I’m not saying current and popular bloodlines never go through I’m just saying that I haven’t seen them. Have you? What do you think? Peggy, I agree with you on that. Slaughter is one of those necessary evil. Its just one of those things that needs to happen. Sad yes. I hate to think that especially having 4 of my own but it is necessary. There’s just not enough room to keep every single horse that isn’t wanted. OK we stop slaughter then what do we do with all these horses that are homeless and starving? It is a necessary evil horse meat is exported which helps to fund the inspection and such. Feed lots for the horses should be required to keep each horse 60 days to insure that it is drug free at the time of slaughter. In my opinion a lot of people can have fun with horses without pedigree. The point is the education of the horses. You probably won’t win a championshiprun with a horse like that but on the other hand, how much talented good riders are there who can? Take a look at the Mustangs and the programm to promote them. You probably won’t win a reining run with them but it is for so many people so very much fun to train them and show them in contests for trained mustangs. One should organize contests for horses without pedigree and see how much fun this can be. But one thing’s for sure, everything stands with the education of the horses. In Europe we have western organisations for horses of any breed or mixbreed (Gypsy horses, mountain horses, old race horses and more). With or without pedigree. They compeed in reining (mountainhorses), horsemanship, pleasure(gypsyhorses are known to do this nicely) and it’s so nice to see what you can accomplish with those horses on another level. They can do more than you might think but some one has to care and give them a chanche. You might get stunned at what level they are able to act. Who’s to blame? This has been the question on so many forums over the years. I tend to say everyone and no one. Everyone who breeds it can be said are adding to the population of horses. Yes no one person is adding to that amount by themselves. So it comes down to are you breeding to breed or are you breeding for a market/purpose? Are the horses you are breeding proven? If so in what? Does the stallion compliment the mare? What I see a lot of times is that breeders like to say that proving the mare is not impotent. I say it is of the most importance. Which is wrong? In reality neither are wrong. What is your market? Does that market care if the mare is proven? I know I look at the mare and tail line a lot more then I do the sire. However you always seem to hear what as the stallion done? What has he produced? Who is he by? And so on. 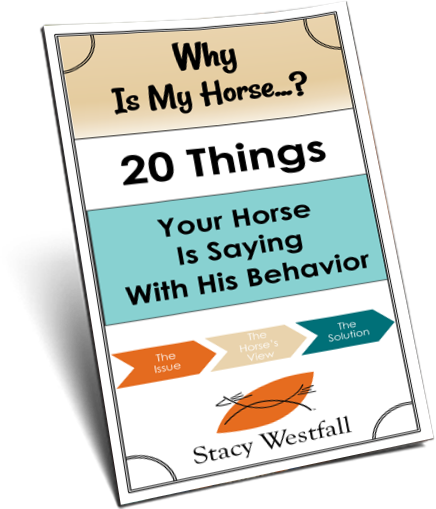 How many times have you heard them ask about the mare? At the end of the day if you are breeding use the best possible animals and breed for a purpose and that purpose needs to be more then recycling grass. The situation truly breaks my heart. I went to an auction in California and really had no idea what I was getting myself into. I thought the kill buyers would get the old or lame horses. In reality, their only criteria is weight …young, broke, pregnant, it does not matter as long as they have meat on their bones and they are cheap. It was race season so a lot of big, beautiful, fit horses off the track went to the auction and ended up with the kill buyer because they were not fast enough. I also know a paint judge who could not support her breeding program once the market tanked. She took 8 halter horses to the auction, some young and others broodmares. In the end it was the kill buyer who got most of her horses, including a 2 yr old out of a 3x world champion halter mare because somehow she was born with a crooked leg. I bought 6 horses from that first auction I attended and got them into homes where they are now used and loved. So unnecessary and tragic that many others do not receive the same type of mercy. Betty, breeders and the breed registries do need to take some responsibility for not adjusting the amount of foals they are dropping on the ground. It boils down to a simple concept of supply and demand. When the economy tanks as you say, the demand goes down…breeders need to cut back and the registries need to stop offering breeding incentives. It is really sad the horse industry right now asking who is to blame wont fix it we need to all take responsibility for what we do.You can’t change what other people do unless you educate them and sometimes that don’t work. Sad thing is it all comes down to money and people wanting to make it quick. I have seen more neglected hores and starving horses then ever if the horses are not worth much finacially people don’t think there worth taking care of.we all need all work together doing what we can working with the breed association , big breeders, back yard breeders, trainers, buyers,everyone who deals with horses to fix the problem. we all need to do are best to take care of these beautiful creatures God created we can’t do it alone but if we work together we can do it! Everyone does need to take responsibility, but one thing not being taken into account is the economy. Many people are refusing to take their horses to the auction out of fear they will be slaughtered, so they abandon them hoping someone will rescue them. that is why we need more shelter in place programs, which would provide hay and feed to horse owners facing financial difficulties for a period of time. 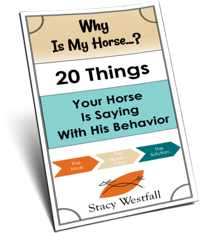 Address the situation and then possibly work on rehoming the horse. Low cost geldings, we don’t need any more backyard breeders and we need the major breeders to slow down. Low cost euthanasia, low cost and alternative means of disposal. But slaughter is never an answer. True most well bred, well trained horses find a good home the first time around. It is the second or third time they are sold that they are in danger of going to slaughter, especially if the owner doesn’t have connections to get the horse marketed right. Too many horsemen are in the business of raising and training horses and promoting their genetics. There aren’t enough horsemen that maintain a lesson and lease string, buying horses that are outgrown or lost interest in. When I was a kid most of the horses I knew had several owners and possibly went back to a lesson string for beginners and timid riders when they were too old to work hard. I blame the breed associations for the mess we are in. Breeders incentives encourage too many to try their hand at breeding, and encourage those who are good at breeding to do more of it. Trainers could still make a living training and selling horses if they bought, trained and re-homed most of the horses they sold. As a kid I worked with a trainer who would sell horses at shows. She would talk to the parents of kids who were beaten by her horses and work out a trade so the kid could have a better horse. A couple months later the trade-in was the “better horse” some other kid just had to have. She was always open to buying a horse from a kid who had quit riding. She was actually creating more riders with her lesson program and developing a market for the horses. Don’t see that happening today. Isn’t there something going on now where the breeder can get multiple eggs from one ‘GREAT’ mare and then fertilize with an equally ‘GREAT’ stallion then inseminate multiple surrogate mares to produce several foals of the exact breeding? And I may be very wrong but if this is the case then these are anything but backyard breeders because they couldn’t afford it! We have two well bred register quarter horses that we found at a auction house. Both had been injured in the pass, but were sound when at the auction. They are wonderful horses, we were lucky to find them. I agree most horses that go to the auction are not from reputability breeders. When it is your business you want to sell a good horse, backyard breeders want money. I think people mean more of backyard breeders, where the people probably have little kids and they have a sweet little mare and they want a cute baby. Then Cute Baby grows into a naughty, not-so-cute baby and eventually starts hurting people. Mommy and Daddy didn’t plan ahead for this, so they try to sell the horse but no one wants it because it doesn’t listen. Most people don’t want to deal with that sort of thing, ya know what I mean? So since the baby has to go and no one wants it, it goes to an auction and from there gets shipped off into Mexico or Canada, and you know the rest of the story. I think some blame should go on the people who buy horses. If it’s not sound or it’s “downright viscious” the owner should put it down instead of expecting a rescue or slaughter plant to deal with the problem for them. If they can’t afford this expense why do they even own a horse? What if there’s an emergency and a vets needed for stitches or etc… Horses have become throw away, buy one and don’t like it, take it to a sale or trade for another. It doesn’t seem like anyone has a real commitment anymore. Kids used it 3 or 4 years in 4H, it’s now outgrown. Broodmares getting older so the owners need younger stock and maybe different bloodlines. Also a lot of horse lovers “downsize” for winter then buy more in the Spring. Where do they think all these horses are going to find great winter homes? Horse owners are the ones deciding if their horse gets sent off to auction/slaughter not the person that bred the horse. If you feel a backyard or big breeder is responsible then don’t buy from them. Now it is a fact that because we have so many people breeding horses, we don’t have to keep the horse we have, because the breeders are making sure there are plenty of horses for us to choose from. Stacy- Thank you for asking this question. Its a hard one and an easy one at the same time. Hard because it involves all of us looking in the mirror and change our horse culture, easy because the simple answer is stop producing so many. Change is not always easy, but often it is necessary. Virtually everyone has a hand in it. We have breed associations who promote youth via futurities, breeding incentives and racing careers that begin before the babies are done growing. Often these babies break and are discarded before they even have a chance to grow up. There are no rewards for longevity in the industry. We have breeders who get stars in their eyes and think that the mare they happen to own and a top sire they saw in the magazines will make then a carbon copy of the sire. They pray for a colt so they can get stud fees just like the top sire does. We have multiple foals being born and registered from the same mares via embryo transfer. The one is good, 12 is better is tough for me to wrap my head around. Never know which one will be the next Doc/Moon/Cody/Lena/Secretariat/Man O’war. Thats the culture of dreams in the industry. The reality is that not every foal will make it to the KY derby, not every horse goes to congress. In addition, we have still have a disposable mentality in the horse world. Dont like the color or like this foal better than the other one? Instead of putting some time and effort into it, dont bother training it, so someone can actually use it, it gets sent off to the auction/slaughter. Horse is getting a little older, cant perform at the level it used to? Instead of sending it off to slaughter, repurpose it. We have other individuals who “want a foal because they are cute”. We have the nursemare industry, the drug industry (specifically PMU) and we have people who either do not care or are not educated enough to realize that if you turn colts out with mares, the mares will get bred back. Several hundred foals in a year? Who does that? As far as our tax code go they are antiquated as well. Why do we have huge breeding credits in tax laws when we already have a glut on the market? We are set up to truly shoot ourselves in the collective foot. In addition, there was an article back from 2007 or so- I swear the author had a crystal ball. They spoke about how the younger generation is way smaller than the aging baby boomers. Less people=less potential buyers. In addition, when you look at todays youth, many little kids no longer want a pony. They want a blackberry/Ipad/xbox etc. for their birthday. Even on the ranches, many prefer a 4 wheeler over a horse. (here is the link to the article- the author saw this coming- http://www.corralonline.com/articles/article060406190644.htm) The author wrote this before the economy went south and the droughts struck the south. It has been the perfect storm and the horses are paying the price. I know this all sounds kind of gloomy but there are things we can do to change it. Stacy you are the first major trainer I have seen coming out and questioning the status quo. Thank you for that. It starts with looking at the root of the problems and being honest about them. We all need to get past the blame stage and start looking toward solutions. We need to change things including our disposable horse culture and stop looking at the “been there, done that” solutions like slaughter. The one solution we have NEVER tried is to take slaughter away all together. It will need to be approached from all sides- quality breeding instead of quantity and providing incentives to geld or leave mares open. Incentives for longevity would be great was well. Owner & prospective owner education will be key as well.There are solutions, however all sides will need to work on them if we truly want to fix what is wrong. whoops, sorry Jesse! Thank you for asking the question! I agree with Stacy for the most part. I have been going to a local sale for over 30 years. there are kill buyers there, but most of the better trained horses go to new homes. Just becaus a horse is taken to a sale doesn’t mean it is discarded but just rehomed. I know that a lot of the horses that are brought to the sale are lame or otherwise infirm and are sold by the horse trader as sound. I have bought several of these that were being sold as sound and were not. Some were vicous and downright dangerous to be arround. others were unsound in wind or limb. Now they seperate the loose horse that noone wants to lead or ride in. these have a much higher chance of being sent to slaughter. the people know that but send them there anyway. in the loose pen the auctionieers do not say anything about the horse not even age or whetere it is broke or anything but jsut run them through on weight. But each month more and more are sent to the loose pen. a couple weeks ago there were twice as many loose horses as ones that are led or ridden. The owners know that there is a huge chance that the horses will end up in slaughter but do it anyway. Some buyers get lots of loose ones and then sort them out and rehome the good ones. Not enough people do that though. Now that you can buy a horse on line fewer well trained horses are taken to sales. there are always lots of horses on line. And there are fewer ridden or led in horses at my local sale. and the prices of horses at the local sale is way down. Oops I apologize, my above comment should have been addressed to Jesse. Stacy, I beg to differ with you as to the origin of many of the horses going to slaughter are from large breeder dispersal sales. I can’t tell you how many broodmares who won’t produce, yearlings, young horses, from large breeders we see go through the sales, from large breeders. You have responsible breeders out there, but the majority are not. Wether backyard or large, they are overproducing for the economy. They have not taken any time to train or work with these horses making them prime fodder for kill buyers. 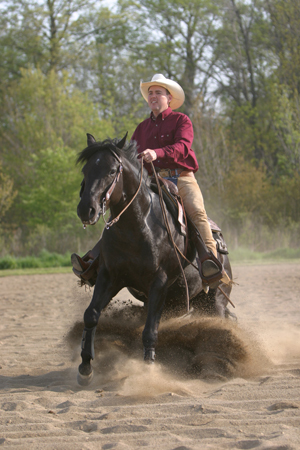 A trained horse is more likely to sell to a home than an untrained horse. (2% of the horses sent to slaughter are young, sound, healthy horses per the USDA of those 70% are TBs and AQHs. Right now, what we are seeing are the killbuyers buying anything and everything, running up the prices so the rescues and families can not bid on the horses. THe killbuyers know what is coming down the road, Canada, effective Jan 1, is limiting the ports of entry and all horses for slaughter will have to be off loaded and examined for cruelty issues. The EU’s most recent report will most likely put an end to accepting US horses for slaughter because there is no way to certify the horses are free from banned substances. The EU was in Mexico a few months ago and when that process is done I’m sure the same restrictions will be in place. Effectively shutting down the pipeline. There are three main issues here, slaughter is not humane, we do not raise horses for food and therefore they are not raised under food safety guidelines, would you want to eat meat on which no safety guidelines have been followed or feed it to your children? Lastly, why should the taxpayers pay to inspect a meat that we don’t raise for food and we don’t eat? Our budget in this country is out of control and we want to add more money to the budget for what? to creat a couple of hundred very low paying jobs, increase environmental havoc and crime rates (see Mayor Paula Bacon letter – http://www.nashvillescene.com/pitw/archives/2010/04/09/former-mayor-horse-slaughterhouses-a-drain-on-taypayers-never-mind-the-ditches-of-blood ) and for foreign owned companies which did not pay any taxes. Totally agree, Jo, and have been preaching same issues against slaughter for a while now. No way should theses horses be subjected to the horror of slaughter process which doesn’t work for them and then technically be unfit for human consumption. Pro slaughter advocates only have money in mind, not the welfare of the horse and anyone who stupidly eats horse meat. Jesse this is a huge problem one that could be debated for year. around here in Alberta, there is a horse auctions that run every week. These auctions can range from high end cow horse auctions, to performance horse sales, to the just let’s get rid of them. In the lets get rid of them you find alot of horse’s that have been used and trained in the feed lots, these breeder put sixty or ninety day’s on them, and in the ring the rider can make them do anything, I’ve see guys do trick riding in the ring, I’ve see horse that have been doped, and are unsafe, These are the guys that are the back yard breeders, that need to turn a buck. I’ve seen horse’s with Pepi San Badger, or Doc Bar, Doc Alena, Dash for Cash, Diamand Dash Cash, and a host of others, What I also see is alot of line breeding which I’m not a big fan of but I guess there is an argument for that one as well. Then we come to your typical grade horse. Most of these horse’s came out of the PMU farms when they were still operational, and flooded the market, that’s not to say that these are not great animals, it’s just people are looking for the paper work to have bragging rights of who’s name is on the liniage. Now steps in the meat buyers and let me tell you, you can be sitting right next to one at these auctions and never know they are there. Some of these guys will snap up anything for a good price, Some will turn around and sell the good one’s to privite buyers and or they will breed them, turn the young ones out into the feed lot’s and the circle continues. Now you got me on a rant and I could continue with on with what happens to the track horse, or even in the Standard bred community where if the animal is not regestered by the time they are a year old then they become a grade horse because the owner didn’t get the paper work in time, now this horse become’s useless and is sent to auction or privitly sold. And we haven’t even gotten into the warm blood breeding. It’s is a lack of education for the new buy’s not that they are not asking for help it’s just that there are shisters out there and people that think they know what they are talking about miss lead the buyer’s or someone get’s into their head that they can turn a huge profit on something that they know nothing about or understand the hard work and hours that it takes to make a well trained horse. K I’m done now, may God bless both you and Stacy and the education that you are putting forth. Janet, you are correct, not all horses are adopted, I was lucky enough to find out about the Standardbred Retirement organization and they are saving the horses from slaughter. All requirements must be made, they come to each farm to inspect it and even the new new ” owner” must also go through a background check. When I finally got my standardbred everything was fine for 2 years, then my husband passed away and I had to give him back to the organization, (which is also required) due to moving and finances. I would have to say you ladies are fishin’ in the right pond over all. Slaughter is a disposal method for profit, nothin’ more. So the animals that make the cut are the ones an owner is trying to squeeze the last few pennies from; STB, Thoroughbreds, stock horses, Amish work horses all who no longer are deemed to be holding their value for a more profitable sale (not winning, injured, sick, past their prime, poorly trained or untrained.) Additionally horses that fall into the category of owners who ‘have no plan and no cash.’ This is a large group on the whole, together these groups combined are what makes up the ‘surplus’ horses in this country. They say A ‘good’ horse is a trained horse, by and large I agree with what you point out- backyard breeders don’t invest much if anything into what results from leaving an intact horse in the field. We, as a culture, have always held a ‘if it’s not earning it’s keep it’s got to go’ mentality about our livestock and when you put nothing in you get nothing out. It is harsh and it’s how we think. In different areas of the country different kinds of horses are being fed into the slaughter pipeline but it is fueled by our mindset as much as anything else. That is why I applaud Stacy for offering up a place to talk about alternatives, among them but not limited to castration clinics, euthanasia clinics, groups and organizations stepping up to create disposal options for strapped owners (by the way no one ever hears about the large amt. of cows that have to be disposed of by owners yearly not thru slaughter) or vet teaching institutions working with the state (or by themselves) to provide those services as well as incentives to stop extraneous breeding, licensing of studs, hay banks for folks to pull them thru while they come up with ways to move their horses to better circumstances. There are more creative ways to manage what is a real problem than willy nilly torturing horses on the way to their death- for quick cash. Slaughter simply is the most crude way to allow our Nation’s horses to meet their end. I have been following an auction house in NJ for two years now. Every single week there is a group of women from the area who attend the auction and take pictures of anyone who is left over. They post these on FB and our group networks the horses for a second chance. There is NO fundraising on this page, just networking. While there are always a few horses that are old or sick or lame or “backyard experiments”, the vast majority of the horses are young, healthy and with average or good conformation. Many are discarded standardbreds and TBs who couldnt make it at the Jersey tracks. One horse was later discovered to have over 250,000 in winnings. And yes, many are quarter horses who were used at local team penning or youth camps or as childrens trail horses, and then “discarded”. These horses may not be the cream of the crop, but there is absolutely nothing wrong with them, they are just no longer wanted for whatever reason. The great thing is in the 2 years not one single horse from this auction has shipped to slaughter. Makes ya think, doesnt it? I’d love to see no slaughter and kill buyer free auctions, I believe that more good people would access auctions (and probably force them to clean up their acts) as a viable alternative to neglect. If kill buyers weren’t at auctions, I know I’d start a new program to assist people who need to rehome their animals by bringing their horses to auction for them. We need good breeders, we also need good trainers… Well trained horses are easily placed. Unfortunately the incentives are skewed towards getting them on the ground and not so much at giving them an education. Ending horse slaughter once and for all would help the system adjust by osmosis. Allow the free market without a kill market. More people would access a sale without slaughter, bad breeders wouldn’t be rewarded for poor business practices, horses wouldn’t be sent to horrific ends, rescues wouldn’t be forced to spend valuable resources on purchasing horses. How could you go wrong, really? I do know this, slaughtering horses isn’t helping the market right now, if it was, we wouldn’t be in such seemingly dire straights and ending horse slaughter is the one thing we haven’t tried…. To end horse slaughter will require an change in culture all over the world. In many countries it is acceptable and normal to eat horse meat. We in the USA can’t imagine that and we can stop the slaughter here but it will be a huge project to stop it all over the world.